You can do many things with this snowman template. Snowman Hanging Wreath-Just print this template out and have the kids cut each snowman out. Take a white paper plate and cut the middle out of it. Now tape or glue the snowmen all around the paper plate. Punch a hole in top of paper plate and run some yarn through to hang up. You could also glue pretty sparkly flowers to the wreath. Hanging Snowman Ornaments- Just print and cut all 6 snowmen out. Punch a small hole in top hat of snowman. Run some ribbon through or you could use a small metal christmas hook. These hooks are the ones that you hang Christmas balls on. You could also laminate these before you hang them up. This will help them to last a long time. Snowman Puppets- Just print and cut out. Tape or glue each snowman to the back of a popsicle stick. These are great for small kids. 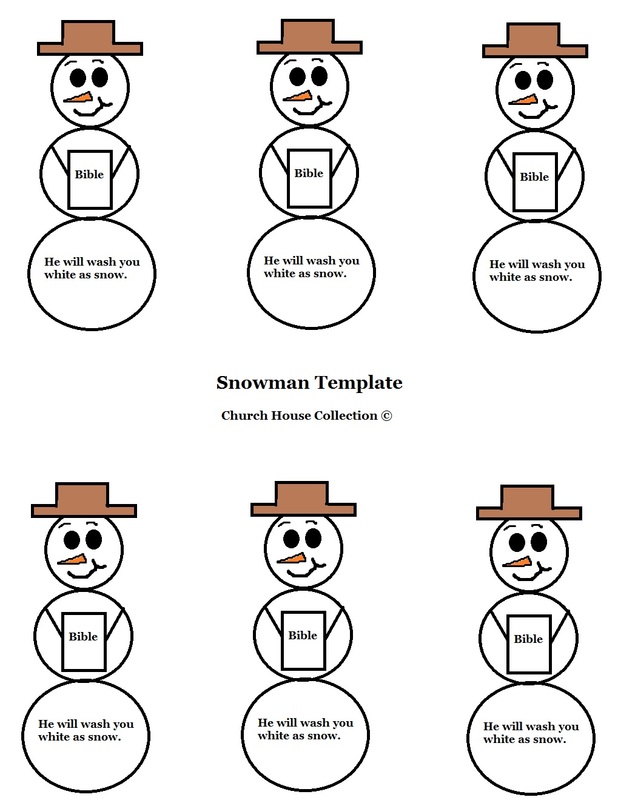 Snowman Bulletin Board Decorations- Just print and cut out. Laminate and staple all over your bulletin board. Print a couple of sheets of these out so you can spread them all over. 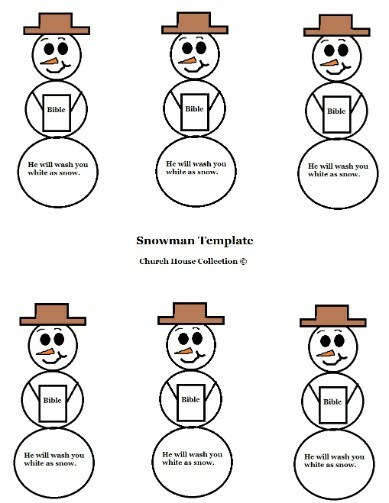 Snowman Present Decorations -Print and cut out snowmen. Tape to a popsicle stick. Tie a small red ribbon to the popsicle stick under the snowman. Now you can tape these to presents. Tape a candy cane next to it and slap a gift tag by it. Your good to go now! Snowman Cupcake Toppers- Just print and cut out snowmen and tape to a popsicle stick or toothpick & stick them down in cupcakes for an easy snowman cupcake treat! You could tie a tiny ribbon to the popsicle stick right underneath the snowman to make it look even prettier. Snowman Snack Cups- Just print and cut out and put one piece of folder over tape to the back of snowman and tape to a Styrofoam cup. Fill with popcorn, cereal, drinks, or anything you can think of. Hand these out for a treat during Sunday school class or Children's Church.